Open all week for meals and accommodation (closed Monday & Tuesday during winter unless by prior arrangement). 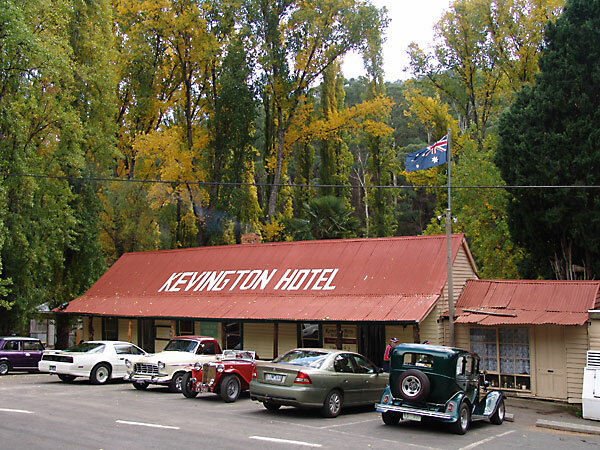 The Kevington Hotel started as Garrett’s Beer House in the Gold Rush of 1862. It is now the last example of a historic hotel left in this part of Victoria, Australia. Located 250km north east of Melbourne, the refurbished hotel is an ideal spot for a base to explore Lake Eildon, the Goulburn River Inlet and the lush bush land of Jamieson and surrounding areas of the pub itself. Stay with us in either our hotel rooms or our bush camping area beside the river.